“When we refuse to forgive, we keep the past alive in our thoughts. These thoughts can be so vivid that we feel as if the pain is re-occurring in the present moment. But in the end, who does that hurt? By repeatedly focusing on the pain from a past experience, you continue to relive it and often times expand upon it. Not only do you allow the pain from the past to continue to damage the relationship, you choose to let it damage you. In the Matthew 18:21 passage Jesus is not suggesting that we should forgive someone seventy seven times and go ballistic the seventy-eighth time we are sinned against. Jesus is saying there is no end to the number of times that we should forgive someone. Why? Because Jesus was aware of how forgiving His Father was and that ultimately He, Jesus, would take our past, present and future sins upon himself. This was forgiveness to the max. You might be asking how does my unwillingness to forgive “damage” me, as Dr. Fillmore contends. It is reasonably well documented that by hanging on to a grudge it can affect us physically and/or emotionally, it is like drinking poison. True forgiveness is only possible through the power of the Holy Spirit. And it may take a long time. James 1 tells us that when we ask the Father for wisdom (in this case the ability to forgive) it will be given to us, providing we don’t doubt His ability and willingness to do so. True forgiveness means (1) we don’t dwell on the infraction, (2) we don’t talk about it to anyone else, (3) we never bring it up again to the person who offended us, and (4) we do not allow the incident to affect our relationship with the person. Here is where it can get a little dicey. We must be willing to ask ourselves is there any way we may have contributed to the hurt that was caused us? This is the Biblical version of seeing the spec in the other’s eye and not the plank in your own. In this instance I am thinking specifically of infidelity. Don’t get me wrong the one who committed the sin made a conscious choice for which he or she must take full blame. 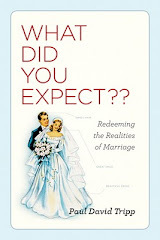 However if you are able you must be willing to ask yourself how did the marriage get into its current state? Then be willing to work through the painful issues to ensure they don’t happen again.